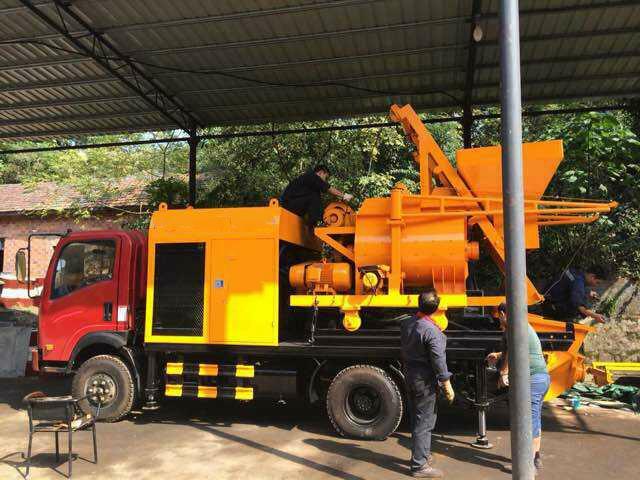 Trailer concrete pump with forced mixer is combined by the traditional concrete pump and the mixer together. It achieves full automatic during concrete construction process. Convey floor heating lightweight foamed cement, mortar, fine aggregate concrete. Convey greening soil in ecological environment construction. 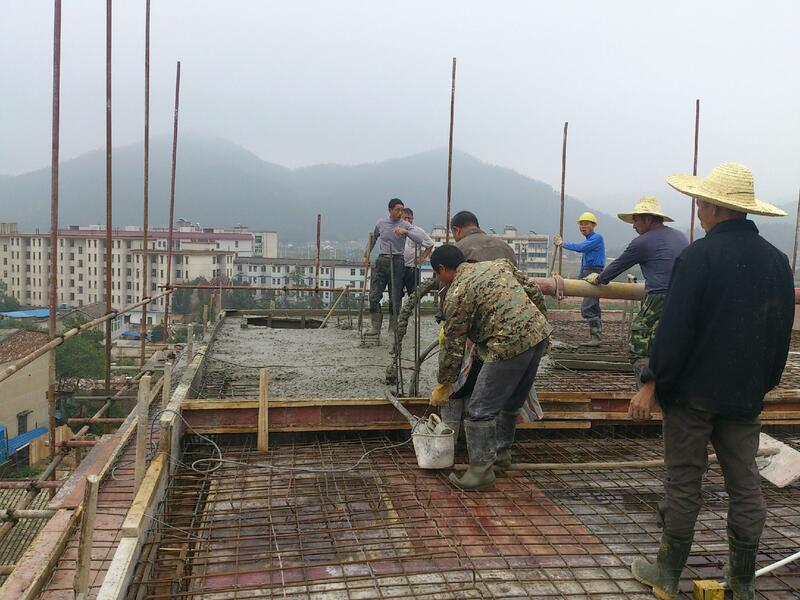 Convey all kinds of engineering construction in the plain concrete, fiber concrete. 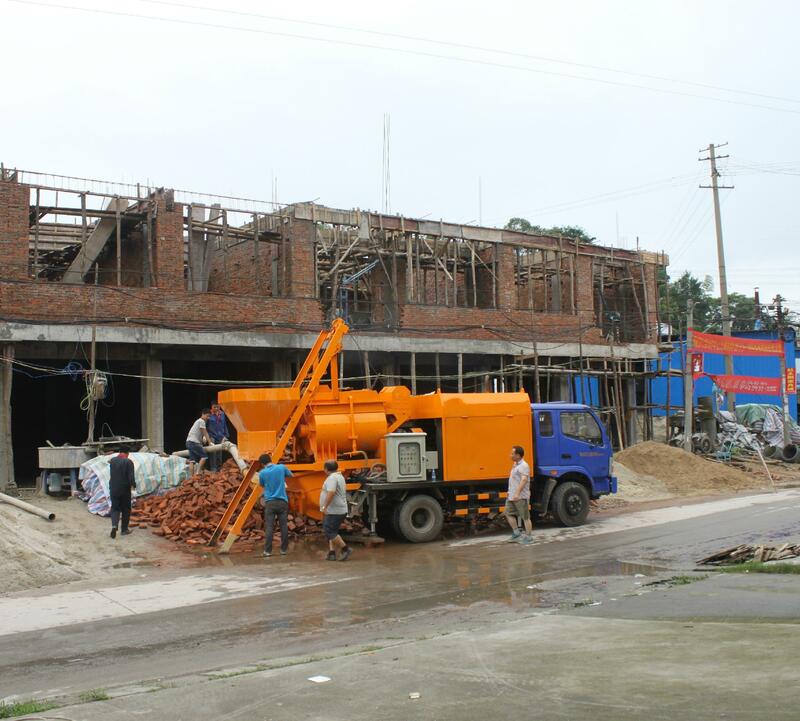 Most suitable for four to six floor buildings, especially in the group buildings, bridges and the small construction sites where need the concrete mixer at the scene. 1. 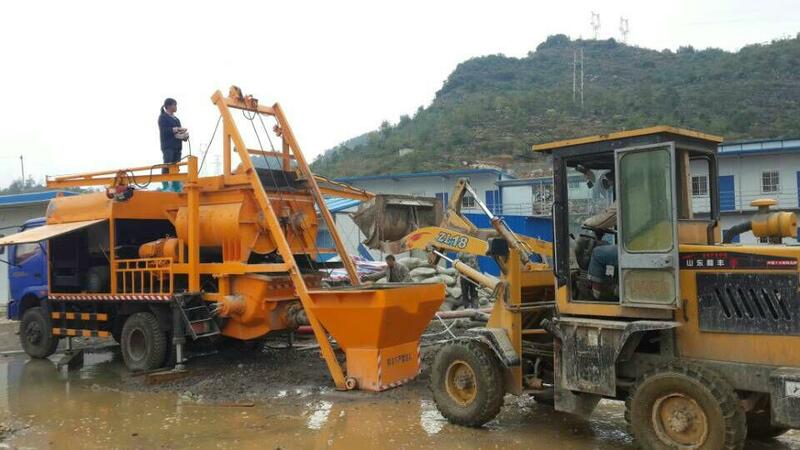 Innovation, mixer can be pushed and pulled, moving more safely. 2. Transfer concrete through pipeline. It is fast and safe. 3. It has small size and suitable for more special environment. 4. 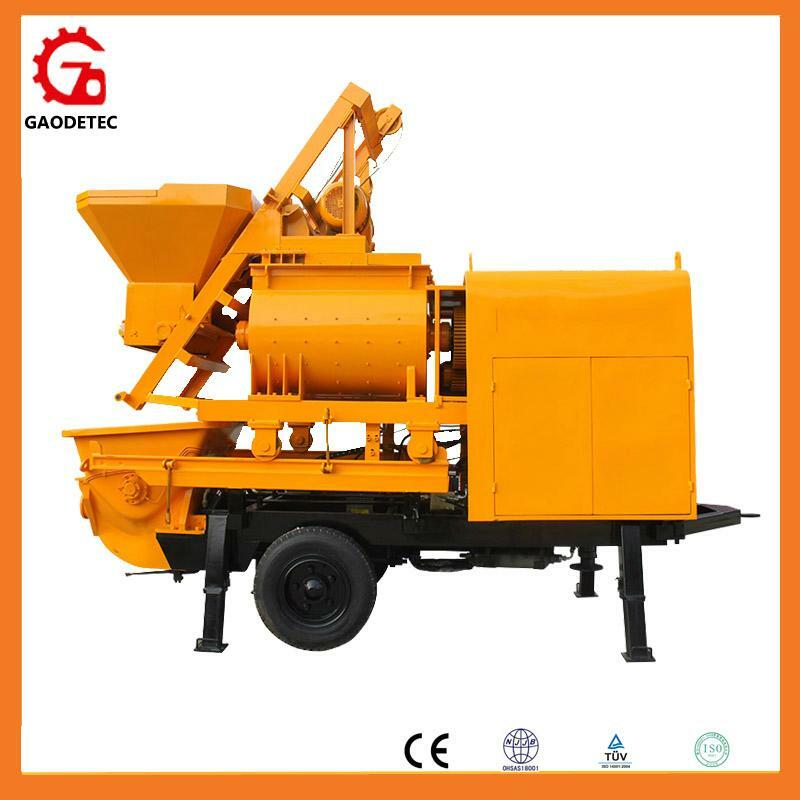 Optional part: cement boom, wireless remote control. This is easy to operate. 5. Compulsive mixing, high quality, high efficiency. 6. 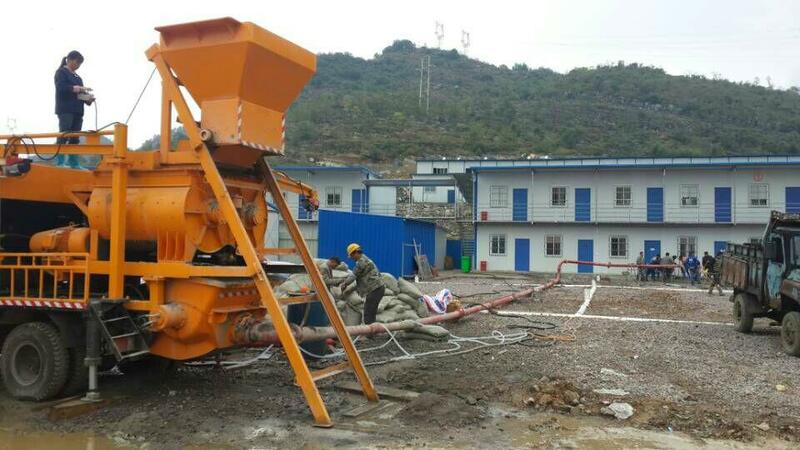 Optional batching machine, setting up the materials faster, Well-proportioned and efficient.